If you don’t know what the euro step is you are truly missing out on a lot. The euro step is one of the most go two moves to do when in a fastbreak and don’t know if you will get blocked. Today, I will be teaching it to you. The euro step in its name originated from Europe because many people in Europe were taking so many charges so this was a way for the defense to get around the defense without taking charges. Charges are very bad especially when taking them as they count as a turnover in a game. To start off the euro step you want to make sure to have a full speed of running when you are on a fast break. When you do the euro step you step in one direction and step in the other. This is very advanced as it requires you to shift your body movement one way then another. It is very hard to master as you do have to get down all the little details that let the defense bite the euro. Aggressive defense is usually debated on when to play it. In my opinion I believe it should be played depending on the defender and who the defender is guarding. I will give you some tips on when to play defense aggressively. So the one thing you need to remember when playing a defender is you need to know if he is a confident ball handler. If he is not a confident ball handler you want to make sure you apply pressure. If he is a good ball handler you want to make sure that you pay attention to the ball, not to him. He can’t go anywhere without the ball. If you pay attention to his body he will shifty you, most crossovers are built off of body movement. You want to play him at the three point line. The next thing you need to determine is whether he can finish with a layup only right, only left, or both ways. If he can only finish right, you want to make sure you force him left. It is vice versa. If you know he can finish both ways, you play him centered and stop the ball at all costs. These are most important things you want to take into consideration when playing against a not so good, good, or great basketball player. 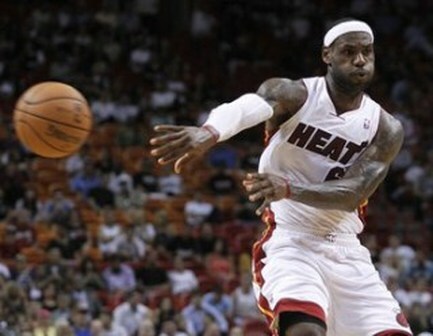 When shooting the basketball the most important thing to do when you shoot is the follow through of your shot. Follow through make sure that you get full power when going into your shot. If you don’t follow through when you shoot you won’t be able to get the full power that you need when you are shooting. If you follow through its enables to you to shoot at your full power and you won’t brick. When you are shooting free throws you want to make sure that your feet are set on the line and do not move from where you stand. If they do move then you will get called for a penalty and you will not get points. When doing free throws you want to make sure that you envision the ball going through the hoop and do not envision anything else. Doing this will help increase you chance of the ball going through the hoop. Make sure when you are shooting free throws your eyes are set, your elbows are locked, and you feet are set as well. When they are set it is easy for you to make sure your shots much more easier. No look passes are passes that can be made and need to be practiced in order for it to be executed properly. If you do not know how to do no look passes I advise you not to do it. If you do have experiences over no look passes it is great to try it out. When you do a no look passes it seems to confuse your defender. The more you confuse your defender the more unpredictable you become. When no one knows who you will pass it too it leaves them confused. Lets say you are on a fast break. And you are on a 3 on 2 situation. You have numbers. If you have numbers you should look at the person you don’t want to pass it to, then pass it to the person you want to finish off the play. Body movement in basketball is always key to becoming unpredictable and becoming a better basketball player. If you look at one person but then pass to another, the defenders will not know who you are passing it to. Remember to be a variety player and switch up all your moves so you don’t stay predictable. When you are beating a back court press defense you want to make sure not to be too selfish when you are doing that. If you think that the way to get out of a back court press is for the point guard to dribble out you are wrong. 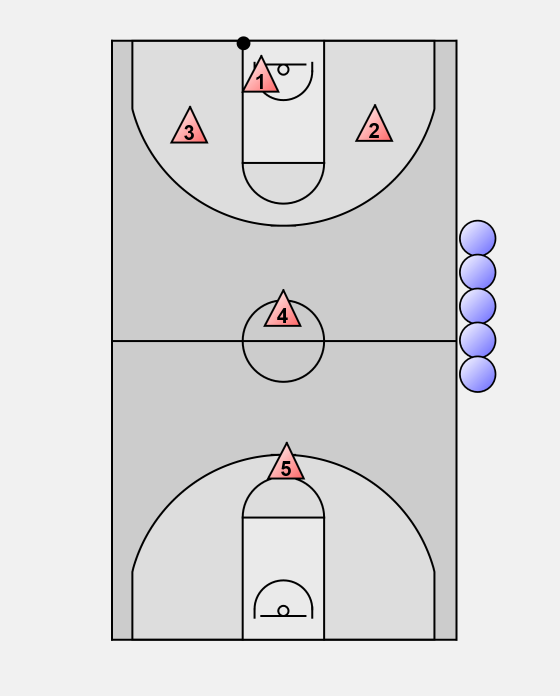 The way too actually get out of a back court press is to have at least 3 people down at halfcourt or near the point guard. The point guard when getting the ball should get at least the ball near the halfcourt but if he is near the in bound than he is fine. When people do back court press they are basically gambling. If you get the ball past half court, all you need is two passes and it should be a layup, open three, or knockdown mid range. Dribbling out is never good as you can get trapped and there might never be someone near you to help you out. So you wanto make sure to share the ball and not be selfish so you don’t get trapped.